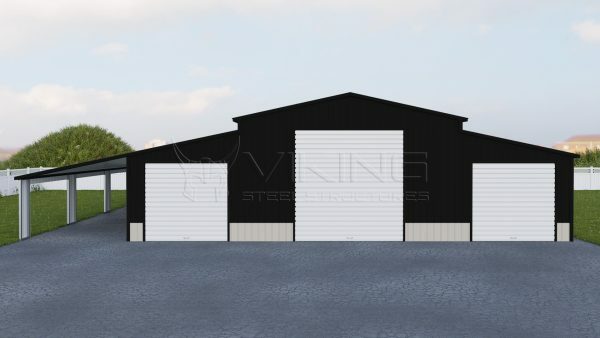 The Metal Carolina barns differ from the Horse barns (regular roof) due to an A-frame structure and horizontal ridges. 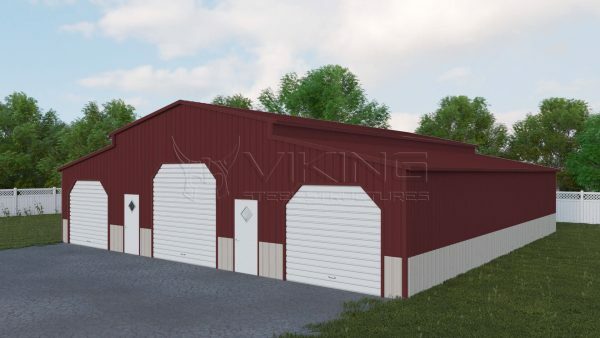 The slanted design results in hassle-free maintenance, as there is no need to manually remove snow from the roof in winters, thus they are also known as raised center aisle barns. 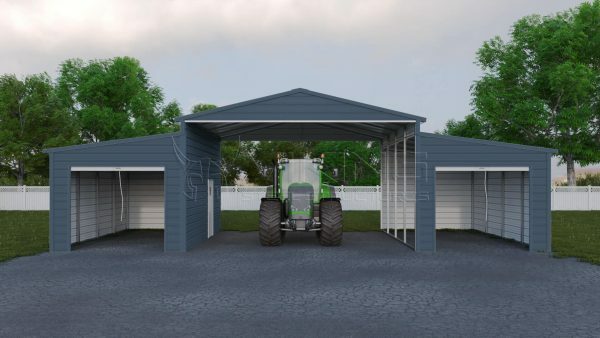 Carolina metal barns are convenient for storage needs, and prolong the life of your farming equipment, vehicles or machineries. 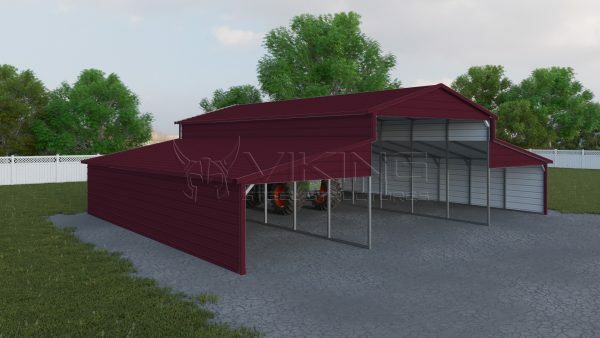 A strong exterior allows boxed eave roof style barns to give protection from harsh weather and dirt. Both sides closed, one end gabled and one end closed, etc. 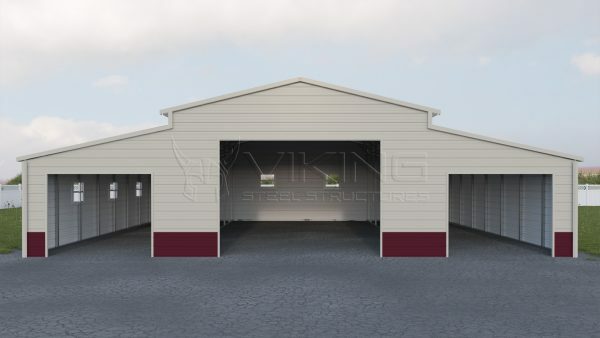 * Ends refer to front and back of a building, either its a Lean-to or center building of a barn. 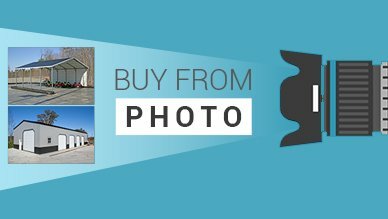 Take your pick from a choice of different colors for your metal barn to stand apart from all the other products out there. For added protection, choose a fully enclosed boxed eave design versus a partially enclosed or open one, so that you can stay worry free about your assets no matter what time of the year!